Almost home … what are we looking forward to the most? About an hour ago, we started coming home. 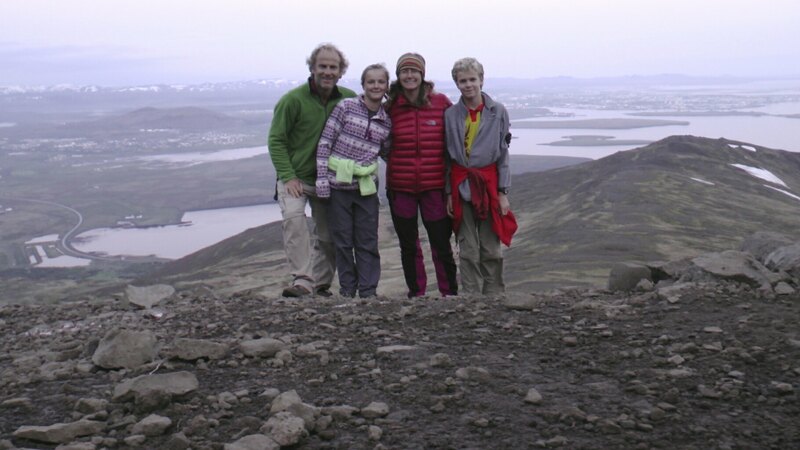 At 11:30 PM tonight we started a hike up the mountain overlooking Reykjavik. Sounds like a crazy time to start a hike? We wanted to fully experience the “white nights” here in Iceland on the longest day of the year. At the top of our hike (1:00 AM), in what felt like broad daylight, we turned to come down, and realised we were now on our way home, after 10 months away. In fact we’ll be back at my mom’s in Toronto before the day was finished. Wow. We had a fantastic dinner in Reykjavik with Yvonne’s mom Betty who has been travelling with us this past week, and we mulled over our year. Made lots of notes regarding our fave countries, experiences, moments and learning. And on the suggestion of one of our readers, we reflected on what it was that we’ve missed the most about home … or what it was that we were most looking to coming back to. It is the wee hours of the morning now, but still so light out. I thought I’d post some of our thoughts before we arrive back in Canada. Our blog has been relatively quiet of late. That’s in part because the never ending light has resulted in … never ending days for us. Haven’t really slowed down enough lately to sit in front of a keyboard. But look for lots of updates in the days to come. And we’re also looking forward to sharing some thoughts on being back at home. One thing we’re ALL looking forward to is summer weather. Germany, Holland and Denmark were mostly quite cool. No hot days. Iceland has been downright chilly. A local remarked to me yesterday how “nice a day” it was, and I appeared a bit puzzled .. it was about 12 degC out, on June 19th. Then she clarified and said “it’s not raining, and isn’t that windy”. 🙂 Just checked the Peterborough forecast … 25degC here we come!